Requires 3 Tributes to Normal Summon (cannot be Normal Set). This card's Normal Summon cannot be negated. When Normal Summoned, cards and effects cannot be activated. Cannot be targeted by Spells, Traps, or card effects. Once per turn, during the End Phase, if this card was Special Summoned: Send it to the Graveyard. You can Tribute 2 monsters; destroy all monsters your opponent controls. 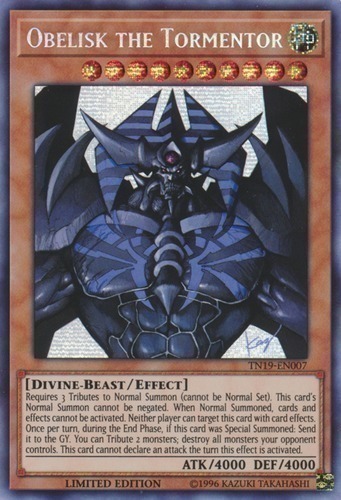 This card cannot declare an attack the turn this effect is activated.